Crowborough St John’s is a traditional but very informal WI established in 1924. We currently have 36 members and that number is growing. We are a very friendly group of ladies who meet in the afternoons. At our monthly meetings we have interesting speakers, a raffle and a competition, finishing with a chat and tea and biscuits. Current highlights include talks on Guide Dog Puppy Walking, Sussex Inn signs, the Spa Valley Railway and the Swiss Alps. Weekly exercise classes are led by a fully qualified instructor who makes it a great way to improve your level of fitness and flexibility while having fun at the same time. Recently we have enjoyed a quiz afternoon with tea and cakes, a Ploughman’s lunch, a cream tea at Barnsgate Manor and a soup lunch at our AGM meeting. Our members also enjoy our annual outings which have included trips to Hever Castle, Michelham Priory and Chichester Harbour. Every year we hold a coffee morning to raise much needed funds for The Friends of Crowborough Hospital. Crowborough St John’s is a member of the High Weald group of WIs. Every year we look forward to all meeting up for an annual lunch in the Spring and a Carol Service in December. 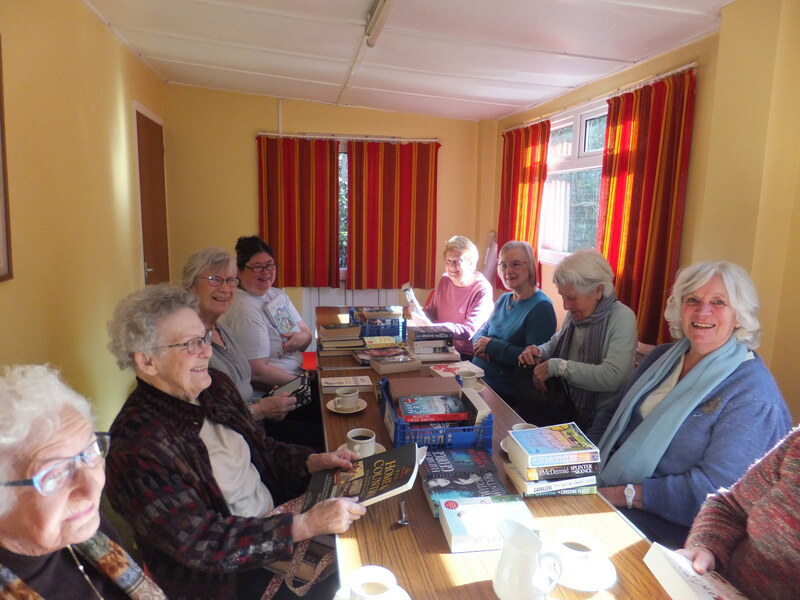 The Book Club meets every second Wednesday of the month at 10am at our hall in Ghyll Road Crowborough. Our Book Club is one with a difference, rather than read and discuss a single book each month we have a theme or topic. This can range from Historical fact or fiction, Crime /Murder/ Mystery, Classical literature to Poetry or Travel books and many more besides. Discussion is quite lively, and everyone is keen to share thoughts on the books which they have read, but it does seem as though crime and murder books hold the most fascination for us. It’s true to say that such is the variety of tastes of the group that one can end up reading authors that would have been passed by in a shop or library as books are shared in thought and passed amongst the group. We regularly have about 12 members at our meeting and, also enjoy Summer and Christmas lunch out. New members would be made very welcome at our club, do come along. Via the ESFWI office or use the Contact Us form on this site.